A tiny Indian Ocean archipelago is in crisis. So too must be the concept of multi-party democracy. 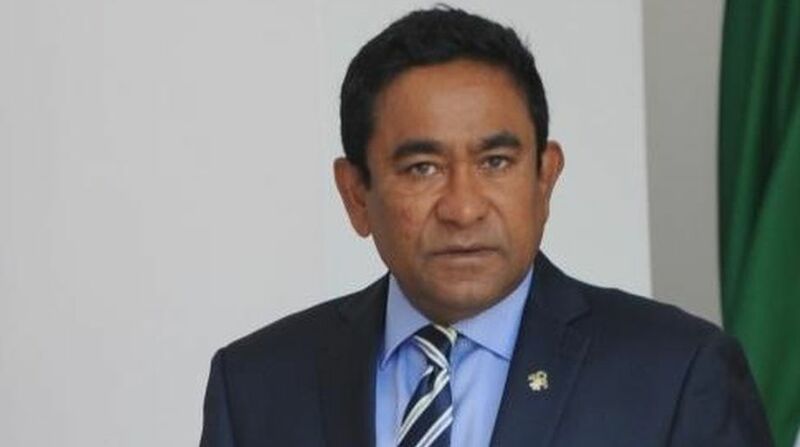 The chaos has deepened over the past hours with the government in Maldives accusing the country’s Supreme Court on Monday of trying to impeach President Yameen Abdul Gayoom. Perhaps the youngest multi-party democracy ~ of barely ten years’ standing ~ now bears witness to a robust confrontation between the executive and the judiciary, indeed the bedrock of governance. At the core of the crisis is the Supreme Court’s order to release the jailed political leaders near the capital, Male. The constitutional turmoil has deepened with the Attorney-General warning the judiciary that any intitiative to unseat the Head of State would be unconstitutional. In the net, the government has been in chaos since last week. Indeed, the judicial order has been binned as one advanced by what the AG calls an “illegitimate set of people”. He has in the process drawn a fine distinction between an ouster and an impeachment. While the second option has not actually been questioned, at any rate not theoretically, it is the judiciary’s warning of dismissal that has provoked the counter-blast by the government in Male. While the President can be impeached only through a vote in Parliament, the police and security forces have been ordered not to obey any judicial order on impeachment. Far from any essay towards resolution, the imbroglio, which has been marked by repeated rounds of clashes between police and Opposition protesters, began when the Supreme Court ruled last Thursday that all politicians opposed to Gayoom, including the former President and the incumbent’s main rival, must be released. Till Monday morning, no prisoners had been released, with the beleaguered government claiming that it had been advised by the Chief Justice to follow the “due process” in releasing the prisoners. It is a measure of the gravity of the situation that the Supreme Court appears willy-nilly to have sided with the Opposition, indeed a section of the political class. Rather exceptionally, the judiciary has advanced a “news release” reaffirming that “there are no obstacles in implementing the ruling and releasing political prisoners and that this has been informed to the prosecutor-general’s office”. In addition to ordering the release of the political prisoners, the court has also reinstated 12 lawmakers who had been ousted for switching allegiance to the Opposition. If those legislators return, Gayoom’s Progressive Party of the Maldives will lose its majority in the 85-member parliament, and this can result in the legislative body functioning as a rival power to the President. The Supreme Court’s ruling has been greeted with celebrations by the main opposition Maldivian Democratic Party (MDP). The present dispensation is palpably fighting a losing battle on two fronts ~ against the Supreme Court and against the Opposition. On closer reflection, the President has no option but to gear up for fresh elections. Democracy is at stake.